Does the idea of a second referendum on Brexit make sense? Many who share my view of the vote — that it is a huge error — would insist it does. Those on the other side would respond that the people have spoken: it would be wrong to ask again. Yet it is the essence of democracy that voters may change their minds. If that were not the case, the UK should have accepted that the issue of membership was resolved by the referendum of 1975. The UK also has no rules on how and when to hold referendums. Parliament is entitled to call for such votes as and when it wishes. That is, after all, what makes it sovereign, as Brexiters desire. To the argument that the referendum occurred less than two years ago, one may rejoin that the electorate has changed since then. Far more important, the referendum was merely on whether to leave or stay. Nobody knew exactly what leaving might mean. Voters can only choose between remaining and the reality of Brexit after the withdrawal agreement has been reached. This, moreover, is not the only significant change since the referendum. With the election of Donald Trump, the geopolitical environment for the UK and the EU has been transformed, unambiguously for the worse. The mutation of the US, under the banner of “America First”, makes the strategic position of Europe as a whole (of which the UK is — and always will be — a part), far more fragile. Is this a good time to divide the UK from the rest of the EU? That will harm both sides, possibly grievously. In addition, it is becoming clear that Brexit is indeed (and will continue to be) costly. The forecasts of a near-term catastrophe advanced by the Treasury (and several others) before the referendum have proved false. But instead, the British economic frog is being boiled slowly. The UK economy will perform worse than the rest of Europe, except Italy, over the next two years, argues the IMF in its World Economic Outlook. Comparison of pre- and post-referendum forecasts from Consensus Forecasts suggests annual growth has fallen by around half a percentage point, relative to earlier hopes. Moreover, this is before Brexit has actually happened. It might be argued that parliament could overturn Brexit on its own: a referendum is therefore unnecessary. Indeed it could. But the referendum has been made sacrosanct. Only another referendum might now overturn it. Yet there are also arguments against another referendum. It is not altogether clear what question would be on the ballot. It could be between accepting the terms and remaining. But there is a third option: a no-deal Brexit. That could not be ruled out, since it is far from obvious that a withdrawal of the Article 50 application to leave would work: experts disagree on this. Thus, such a vote might merely mean that the UK crashes out, which would be a true disaster. Furthermore, even after the withdrawal agreement, the electorate would still not know the details, and, in all probability, much of the meat, of forthcoming deals on trade with the EU. Another problem surely is timing. Suppose the exit deal were agreed in October. Thereupon parliament would call the second referendum on its terms. Agreeing the actual question, setting up the campaigns and holding the vote would surely take until well into 2019, close to the date of the exit. Theoretically, it might be possible to persuade the EU to postpone Brexit or even accept cancellation of the application to quit at that late date. In practice, I doubt it. I would guess that the EU has had enough of the UK’s endless prevarication (and rudeness) by now and would be most reluctant to halt the Brexit process. There is, however, another vital matter: the domestic politics in the UK. The evidence suggests that the UK electorate remains split down the middle. The country is, as I have argued, in a sort of civil war. Suppose there were a 51 to 49 per cent vote against the deal. Would this really decide anything? It would be more likely to make the strife hotter. Last but not least, no major British party has a settled will against Brexit. The reasons Labour leader Jeremy Corbyn is against the EU — that it is a capitalist plot — are the opposite of those on the Tory right — that it is a socialist one. But his opposition is real, all the same. I am convinced the decision to leave was an unnecessary and disastrous error. I would love to see a way to halt the train to the station called Brexit. I wish everybody trying to do so the best of luck. But I don’t think it is do-able. Worse, I fear it might tear my country apart. My efforts will instead go to arguing for the best possible deal, including permanent participation in the customs union. It might be defeatist. But limiting the damage matters, too. - On January 23, Ray Dalio told CNBC that people holding cash are going to end up feeling "pretty stupid". - Three weeks later, those cash holders were the only investors with positive real YTD returns. - Fast forward three months and the very same policies Dalio cited as the likely catalysts for a "blowoff" top in equities are making cash even more attractive. - Herein lies an irony of ironies. If you're holding cash, you're going to feel pretty stupid. That, verbatim, is what Ray Dalio said in Davos on January 23 in an interview with CNBC. Let me say upfront that my point here isn't to lampoon Ray Dalio. Obviously, there's a sense in which most of the investing community is always going to be "pretty stupid" if the benchmark for "smart" is Ray Dalio. I think everyone should aim high (as it were), but Jim Grant's critique notwithstanding, investors who decide to benchmark their careers against Ray Dalio are likely to come up just as short as aspiring basketball players that benchmark themselves against Kobe Bryant. That said, everyone makes mistakes and even outside of actual, quantifiable "bad calls", everyone makes errant comments that look misguided in retrospect. The quote excerpted here at the outset is at the very least an example of the latter, if not the former. Dalio's rationale behind the "pretty stupid" cash call was simple. It was predicated on the assumption that the "Goldilocks" environment of still-subdued inflation and synchronous global growth would continue in the near- and medium-term, and between late cycle stimulus in the U.S. and buybacks, markets were headed for the fabled "blowoff" top (if you watch the interview, he actually uses the term "blowoff"). Well, not to put too fine a point on it, but that call could scarcely have been more poorly timed. The market peaked 72 hours later and that inflation Dalio said "isn't a problem" became a "problem" a week later when the above-consensus average hourly earnings print that accompanied the January jobs report exacerbated the ongoing bond rout on the way to catalyzing the mayhem that unfolded on Friday, February 2, spilled over into the following Monday, and culminated that Thursday in the second 1,000 point down day for the Dow in the space of a week. That's what's colloquially known as "diversification desperation" and it occurs when the stock-bond return correlation flips sustainably positive, or, more simply, when bonds and stocks selloff together. I'm not going to get into the weeds with regard to where the "danger zone" for stocks is vis-à-vis 10Y yields. Rather, what I want to point out here is that while there are a number of factors that will ultimately support the long end (i.e., entice buyers and cap yields), it's possible that the safe-haven appeal of 10Y Treasurys in an equity rout may be diminished by the increasingly attractive proposition of simply holding cash. The surge in T-bill issuance. Each of these factors contributed to some degree to what we think will prove a temporary supply/demand imbalance in the corporate bond and money markets. All of that is related to the tax bill and to the spending bill. In other words, it's all related to the same fiscal stimulus that Dalio (and many others) suggested would help spark the mythical "blowoff" top in U.S. stocks (SPY). The typical haven characteristic of Treasury debt is being hindered by the appealing rates of return on cash in the US. Historically during periods of market turbulence, money would flow from risky assets (such as stocks) into US Treasury bonds. 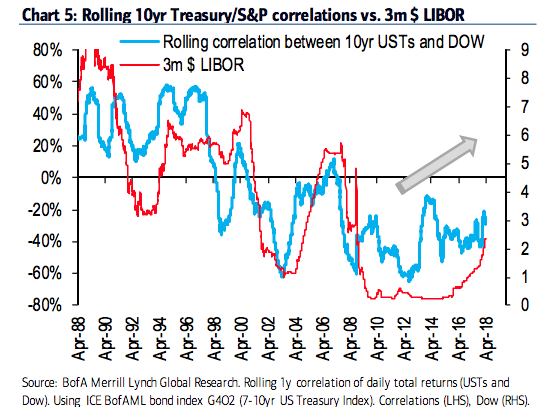 But with $ Libor at 2.36%, support for Treasury debt is diminishing (consider that 5yr Treasury yields are 2.84%). 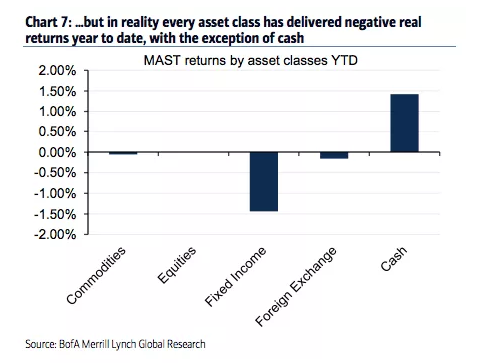 In other words, the rise of “cash” as an asset class is altering the traditional allocation decisions of multi-asset investors in times of market stress. Chart 5 highlights this point. We show the rolling 1yr correlation between total returns on 10yr Treasury bonds and the total returns on stocks (daily returns). We overlay this with the evolution of 3m $LIBOR. The implication there, in case it isn't obvious, is that haven demand for U.S. Treasurys will diminish as the attractiveness of cash as an alternative rises, and the result will be that the stock-bond return correlation will be more prone to being positive, thus exacerbating the above-mentioned "diversification desperation" and imperiling the very assumption that underpins risk parity and balanced portfolios. Again, the irony there is that it's the distortions from the tax changes and the spending bill that are in part behind this dynamic, and if I had to extrapolate further (which I don't, but I will anyway), what I would also venture to suggest is that the late-cycle fiscal stimulus will probably force the Fed to get more aggressive than they otherwise would have, thus driving short-end rates higher still and making cash even more attractive relative to long-term bonds which will continue to selloff as inflation pressures mount. So while the jury is certainly still out on whether the folks holding cash will indeed feel "pretty stupid" as Dalio explicitly predicted back in January, one thing's for sure: they're not feeling "pretty stupid" as of right now. Regulators give in to the bank lobby’s wish for more leverage. Happy days are here again for American finance. Tax reform and rising interest rates are throwing off huge profits, and maybe a little amnesia is setting in among banks and regulators. Lo, the Federal Reserve thinks now is a splendid time to ease capital requirements. Last week the Fed proposed recalibrating its leverage requirements for the eight globally significant banks (GSIBs). The regulations were enacted after the 2008 financial crisis to ensure that banks maintain adequate capital. The Fed can restrict banks that fail annual stress tests from returning capital to shareholders. Recall how investment and commercial banks prior to the crisis piled into mortgage-backed securities, which regulators deemed low-risk. This allowed them to expand their balance sheets while meeting the international Basel Committee’s risk-based capital requirements. But when the housing market crashed, banks were exposed. The government rescued banks with a capital and liquidity infusion to prevent the financial system from locking up. Banks have repaid the bailout money, and last year they all passed the Fed’s annual stress test for the first time. Over the last year, J.P. Morgan , Citigroup and Wells Fargo have returned some $60 billion to shareholders. 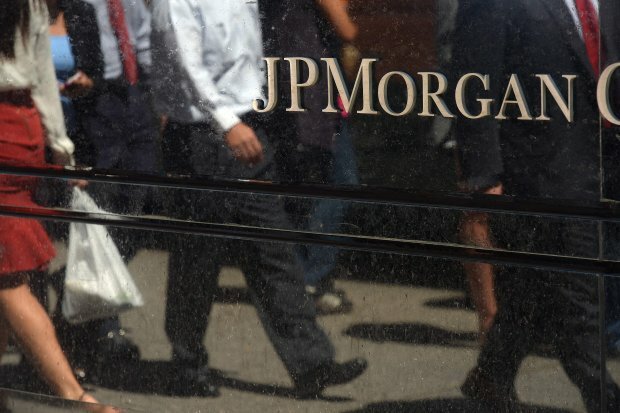 First quarter net profits rose 35% from a year ago at J.P. Morgan, 34% at Bank of America and 13% at Citigroup. Yet now banks gripe that the Fed’s leverage limit is too stringent, and Goldman Sachs CEO Lloyd Blankfein last year complained that banks are overcapitalized. A Morgan Stanley analysis estimated about $120 billion in “excess” capital at the 18 largest banks. What excess? GSIBs maintain an average 6.6% leverage ratio, which is only slightly more than the losses they experienced during the crisis. Regional and community banks that don’t benefit from an implicit government guarantee on average boast a 8.7% leverage ratio. Big banks argue that the leverage limit restricts lending. Yet several complained during earnings calls last week that low borrower demand was putting a damper on lending. Which is it? The reality is that better capitalized banks can support more loan growth. Two recent studies have found that a percentage point increase in banks’ equity capital ratio is associated with a 0.6 to 1.69 percentage-point increase in lending growth. Another bank argument is that the simple leverage limit encourages riskier behavior. 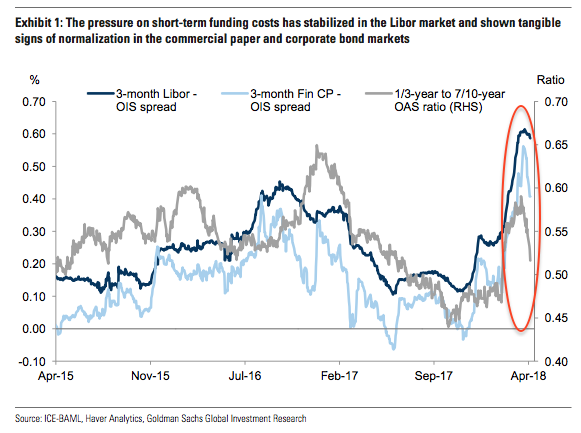 But the GSIBs’ risk-based capital exceeds the Fed’s minimums, which suggests they aren’t piling into junk bonds or other speculative investments. If they did, the risk-based limits would kick in. The Fed has adopted the bank lobby’s view that the 6% leverage limit is too restrictive. Under the Fed’s new proposal, banks would be required to maintain a 3% leverage ratio plus a modest “surcharge” based on their complexity. This would have the effect of reducing capital requirements for the biggest insured depository institutions by an average 20%. Banks could thus take on more leverage and boost returns to shareholders as markets heat up and profits improve. Sweet. But wait. The Fed last week proposed a separate rule to dumb down stress tests. Banks would no longer face restrictions on capital distributions to shareholders if they don’t meet the Fed’s “quantitative” standards. According to the Fed, the “proposal generally would lower the amount of tier 1 capital” a firm would need to maintain during stress. The Fed should clarify how its proposed rule-makings would interact and explain how it foresees banks will deploy the $121 billion in freed-up capital. Another question is how the Fed’s proposals would be affected by the looming Senate banking bill, which exempts central bank deposits from the leverage limit for custodial banks. This provision would reduce capital requirements by an effective 20% to 25% for State Street and Bank of New York Mellon . We warned last month that other big banks like Citi and J.P. Morgan would also demand a dispensation, and what do you know? The Fed is soliciting comment on “carving out central bank reserves” from the leverage limit. All of this seems short-sighted, not least for the banks. They support easing some of Dodd-Frank’s regulations, and we agree. But then they should support higher capital as protection against bad lending bets or another recession. Instead the banks want less regulation and less capital, which will set them up for Senator Elizabeth Warren’s tender mercies when the next panic strikes. 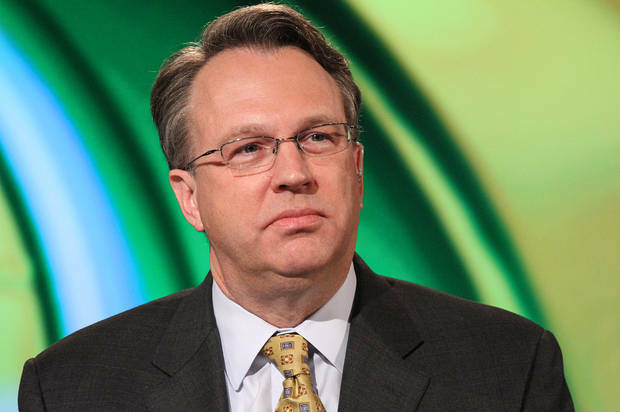 With the pending elevation of Richard Clarida to vice chairman of the Federal Reserve Board and John Williams to president of the New York Fed, two of the central bank’s most important jobs will soon be held by men who have spent their careers trying to answer this question. They both agree on the approximate level of the neutral interest rate, but disagree sharply on the explanation, which could produce an intriguing conflict over the future direction of monetary policy. To determine the neutral rate, Clarida has suggested comparing five- and 10-year bond yields to see five-year borrowing costs five years in the future. This is traders’ best estimate of the cost of money outside of the current business cycle. He says he prefers this approach to “building a macro model” because it is “robust to regime changes…and structural shifts.” His method has implied a neutral interest rate of about 2% since the start of 2012, down from more than 4% before the financial crisis. He attributes this decline to the breakdown of the pre-crisis “growth model.” Loose credit standards before 2007 made it easy for people to spend more than they earned, which allowed Americans, southern Europeans, and Brits to temporarily make up for chronic underspending by Chinese, Japanese, and Germans. After borrowers took on more debt than they could ever hope to repay, they were forced either to default or cut spending to cover past obligations. The impulse that had been sustaining the world economy suddenly went into reverse. For a variety of reasons, the excess savers have been either unwilling or unable to pick up the slack. One result has been a glut of “bountiful” goods and commodities relative to demand. This, in turn, has burdened much of the world with old debts that, in Clarida’s view, would be impossible to service at significantly higher interest rates. The “new neutral” is thus a legacy of the bubble and bust. The “normal” level of U.S. interest rates could rise by several percentage points if, for example, people in East Asia and Europe saved a bit less and spent a bit more, or if Americans relived the bubble years with a new debt binge. 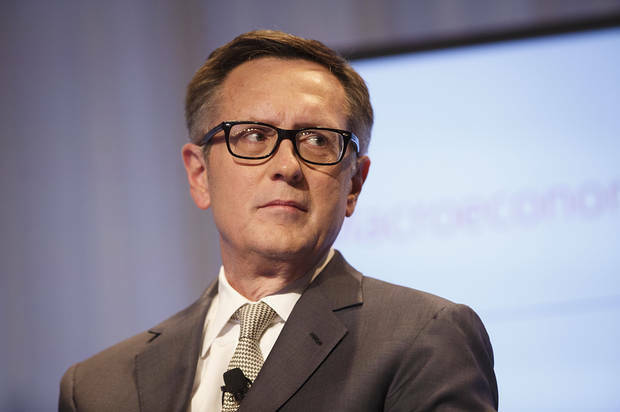 Without such big changes, the neutral level of interest rates, in Clarida’s view, will probably continue to stay well below pre-crisis norms. 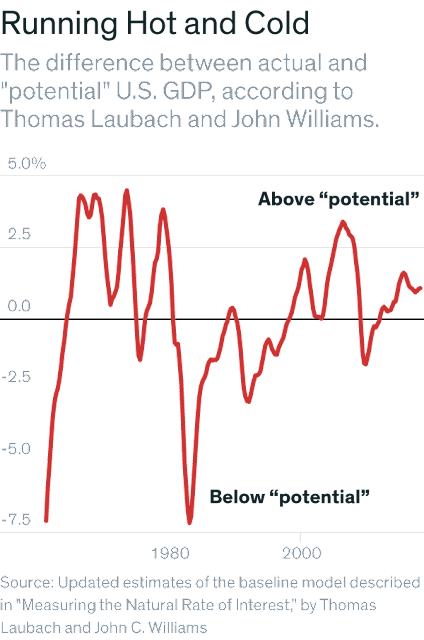 By contrast, Williams and fellow Fed economist Thomas Laubach estimate what they call the “natural rate” by determining whether the economy is growing above or below its “potential.” If the economy was too hot, the actual policy rate must have been below its natural level. If the economy was in a slump, monetary policy was too tight. This method, like Clarida’s, implies a natural rate of interest of about 2% since the crisis. 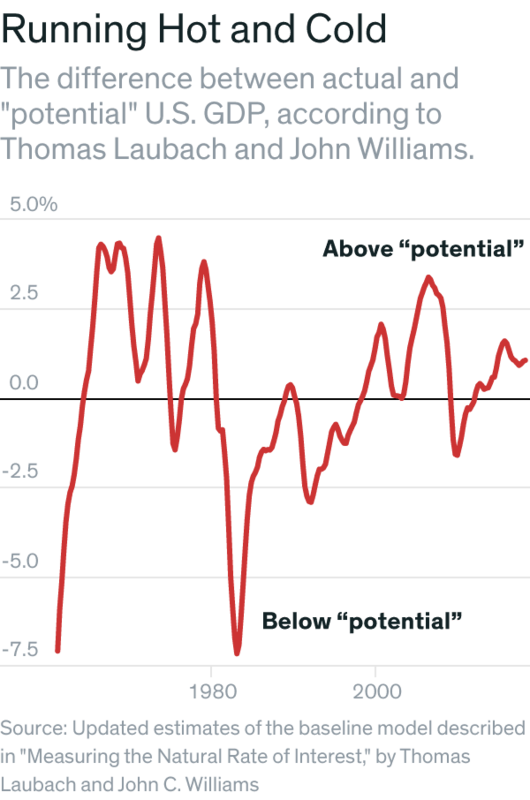 The challenge is determining “potential.” Williams and Laubach define it as the economic growth rate associated with stable inflation. Yet this assumes a relationship that may not exist and produces strange results: Their latest estimates imply the early-1990s recession was twice as painful as the financial crisis and the U.S. economy has been “above potential” since the end of 2011. Until recently, these different interpretations didn’t matter: Fed officials wanted to push the economy above its “potential” because they were afraid inflation was too weak. That fear has gone. At the same time, the Fed has finally decided Clarida and Williams were right that the neutral/natural interest rate is much lower now than before the crisis. U.S. central bankers must determine which of them correctly explained why.